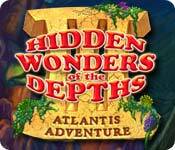 Hidden Wonders of the Depths 3: Atlantis Adventures is rated 4.1 out of 5 by 30. Rated 5 out of 5 by _BluePearl_ from This is where your match 3 searching game ends. I have been playing this game for years. 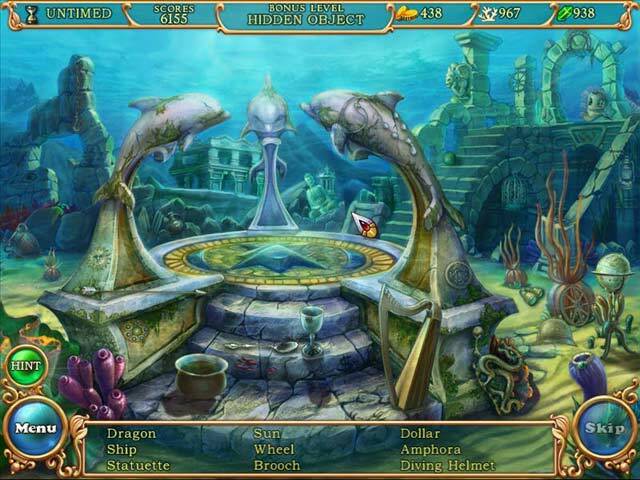 I started playing Hidden wonders of the depths 1 on PC and felt in love with this game immediately. What different about this game compared to other matching games is that it combines several game modes with increasing in level of difficulty. 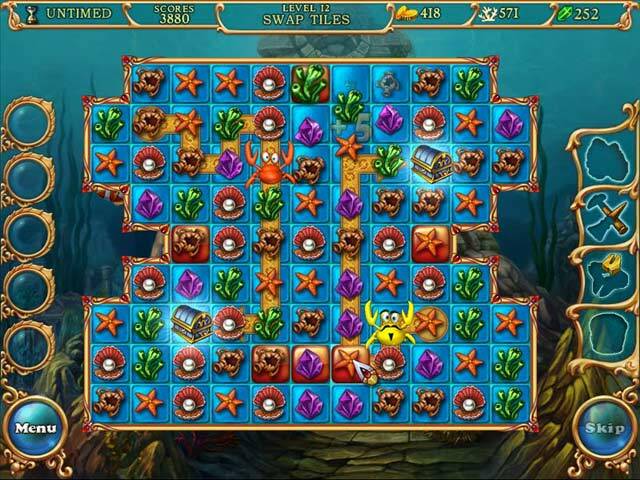 Match 3, drag and release, tap 3 blocks or more, rescue the crab, collect objects, build artifacts/architects, puzzles, and flipping-match cards. Playing just this one game makes me feel like im playing all types of matching quest games as one. I played version 2 on this game on an iphone and reached level of 1200 something, and i was so in love with it. Unfortunately, the developer decided to discontinue this game on ios platform which brought me great despair. I have never found another game with such diversity game modes ever again. I wished this game will once again be developed for iphone because i can play it everywhere without having to bring my laptop around. I am willing to pay just to get this one game trading for 20 free games out there but the quality is no where compared to Hidden Wonders of the depths. Rated 5 out of 5 by aries22351 from Very, very fun This game entertains me completely! Great visual animation and fun sounds... it's the best! I really enjoy it. Rated 5 out of 5 by photobobbie from I love it I have played this for years and still love it. Rated 5 out of 5 by bessiegirl from A very unique match 3 I am amazed at the creativity of the developers when I play a match 3 as unique as this one. Amazing sound effects and graphics as well as just plain fun. Truly love the sound effects. Offers both timed and relax play. I usually will start out with relax play the first time through and then go back and play with timed once I get familiar with the ins and outs of a particular game. However, it appears this game offers the opportunity to skip a level if you are playing timed and get frustrated on a level, as well as restart. Power-ups are available to unblock and move you along. Very creative, fun match 3 that also has a few HOS and mini games which are as fun as the match 3. I highly recommend this to all levels of players. This is the first in this series I've played and I intend to definitely purchase both 1 and 2. Rated 5 out of 5 by dontwannaknow from Not just a match 3.. ..because you have to move your little crab along it's chosen path to the treasure chest. There is no penalty in the relaxed mode- but the crab will stick his (her) tongue out at you when you take too long. LMAO It also has mini-games and several hidden object screens. He (she) also dances, and put on shades. 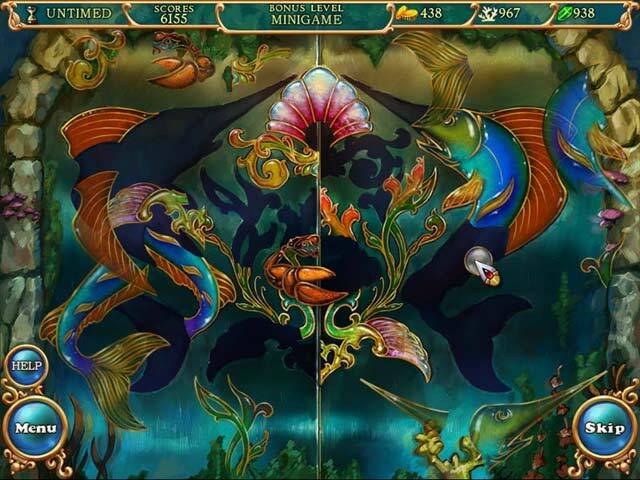 Bonuses let you add fish and aquatic decorations. FUN. Rated 5 out of 5 by Bigfishgamelvr from Cutest Little Game!!! This has to be one of the cutest little games I've played in a long time! The little crab totally makes this game. If you don't move quick enough, he will make silly noises, stick out his tongue at you, or throw on his sunglasses and air guitar!! It is hilarious! This game is great! Rated 5 out of 5 by EelWoman from My favorite game for going into a transcendental state This is the most relaxing, while increasing in challenges, game of all I've played - I just wish there were more of them It is always the first one I turn to when I'm taking Game Time - and when I'm stressed out I play this. Something about it, it's like meditation while solving challenges simultaneously. Love it!!! 8 stars. Rated 5 out of 5 by Mrs_Mike from Fun game & adorable characters!! The music is so soothing, the lobster is adorable plus funny. The scenery is beautiful & a really fun game to play!! !